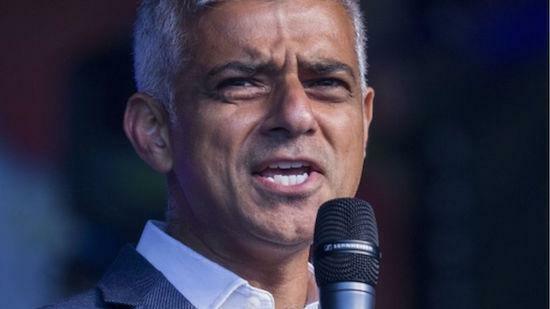 Mayor Sadiq Khan has announced that Form 696, a controversial document which required promoters to tell the Metropolitan Police details including the genre of music that would be played at a club night, has been scrapped. The move comes after the form was placed under review at a special meeting of the London Music Board meeting in September, which was co-hosted by London's Night Czar Amy Lamé, Justine Simons OBE (who is Deputy Mayor for Culture) and Superintendent Roy Smith from the Met. "We welcomed the opportunity to carry out a full review and consultation of the 'Form 696' risk assessment process based on feedback from industry representatives," says a statement released by the mayor's office announcing the decision to scrap Form 696. They say that the decision has been made following consultation with a number of figures including local authority licensing managers, the Musician's Union, the London Promoter's Forum, the Institute of Licensing and various venue owners. Form 696 was originally introduced in 2005 "in response to a number of shootings at promoted club nights across London," says the statement from the mayor's office. Many have argued in the years since that the form was used by police in order to shut down events specifically related to black and Asian artists, and genres such as grime. Rapper Giggs is amongst those whose shows were frequently affected by the use of Form 696 in London. "It is clear that in recent years the landscape of the night time economy in London has changed and thankfully we have seen a reduction in serious incidents at promoted music events, particularly those involving firearms," says Superintendent Roy Smith. "We have also been working in close partnership with the music industry and others to raise standards of safety in venues and at events. “We have taken the decision to remove the Form 696 and instead develop a new voluntary partnership approach for venues and promoters across London. This will provide an excellent opportunity to share information at a local level and work to identify any enhanced risk to ensure the safety of the public." Mayor Sadiq Khan said: "This decision will help London's night-time economy thrive, ensure the capital is a welcoming place for artists and DJs of all music genres and that Londoners are able to enjoy live music safely."